Perhaps the most frustrating aspect of the Abramovich era at Stamford Bridge has been the lack of introduction of youngsters into the First Team. We’ve all heard the daunting fact that only John Terry has come through the academy and cemented himself into the side. He’s the most recent Academy success, if you measure success by First Team contribution. Chelsea fans were tricked into believing that they would get more youth performance under Jose Mourinho. Loftus-Cheek looked primed to break through, with Romelu Lukaku looking to buck the trend as well. We now know that this was all false hope and snake oil. So with the introduction of Antonio Conte, hopes have been once again raised that the youngsters will have a real chance at breaking into the first team. Under the Italian, we have seen more progress. This season, we’ve seen Ole Aina, Nathaniel Chalobah and Ruben Loftus-Cheek play over 670 combined minutes. So what has changed and is there more of a reason to trust Conte? The Italian has taken steps to remove obstacles for the youngsters to succeed, which is where past managers have failed. Take Chalobah for example. The young Englishman plays in the centre midfield and Conte has done his best to avoid senior road blocks in his way. 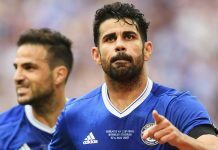 We know that players like Kante, Matic, and Cesc Fabregas are all vital to the team. However, there is much less of a necessity for players like Oscar and Mikel. They have both been allowed to depart this Winter, after both players have failed to get a consistent look into the first team. This frees up opportunities for Chalobah and Loftus-Cheek to make their impact. 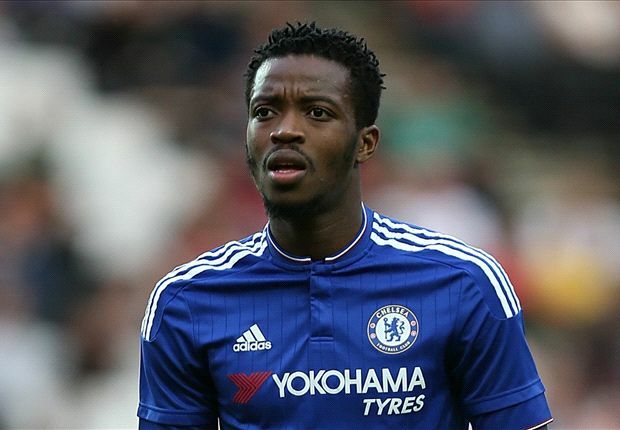 Chalobah had been somewhat preferred over Oscar and Mikel already. With the need to blood the youth and also raise capital to reinvest in other aspects of the squad, Conte has allowed the 2 senior members of the squad to depart, providing more opportunities to Chelsea’s youth. Furthermore, Ole Aina has also seen much more of the pitch this season. This is due to his quality, coupled with the removal of options that Chelsea didn’t need. Conte allowed Baba Rahman, a player who was purchased for £21 million last season, to depart for Schalke on loan. The Italian also allowed Nathan Ake (recently recalled), Matt Miazga, Kenedy, and Tomáš Kalas to be loaned out. These are all players that could have seen the field ahead of Aina. With these roadblocks removed, the young Englishman has been able to make more of an impact on the squad. Overall, Conte has allowed for more youth success by his attitude toward the young players. He’s putting his trust and faith in them. He’s not only using them as practice dummies or squad rotation players in meaningless matches. Conte is playing these lads in matches that matter. There is no substitute for this sort of trust. Couple that with the removal of senior roadblocks that take up space and playing time, and now you have a better recipe for youth success. The Italian manager is being heralded for all types of positive decisions in his first months at Chelsea. However, if he was able to create an assembly line of youth talent that flows into the first team, he would become a legend at Stamford Bridge.